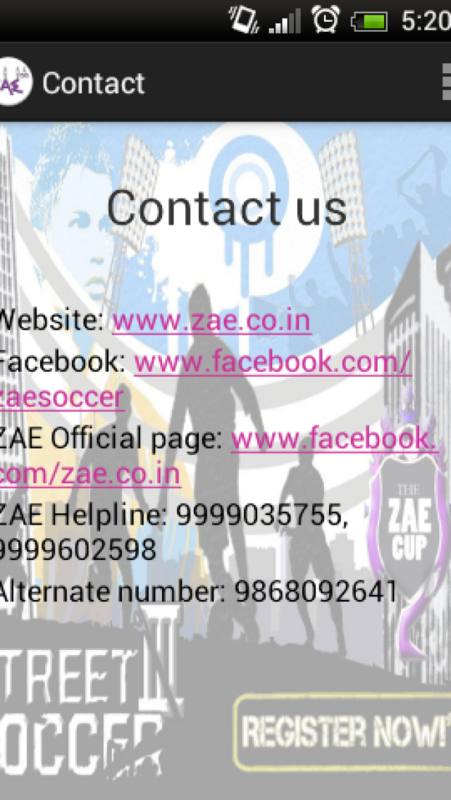 ZAE is a non-profit organisation cadred with an interest to propel the youth talent in India. It organizes football tournament in NCR,India. This application tells about the details of the tournament held recently. It also provides contactof the organizers.